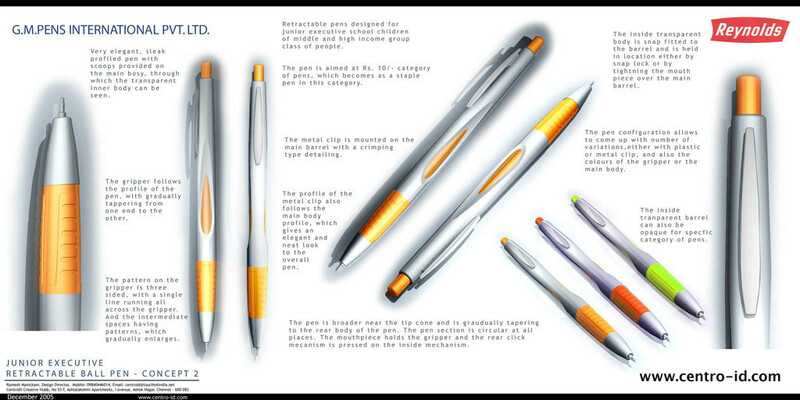 The REVO – retractable ball point pens designed at Centroid for its client Reynolds – GM pens. Was a huge success in the market. The elegant streamlined curvature of the product, along with its slender clip in line with the body profile – set a trend statement in the segment. To bring in variations in to the product and to break the monotony of the form, a scoop cut was given at the centre and a barrel inserted. 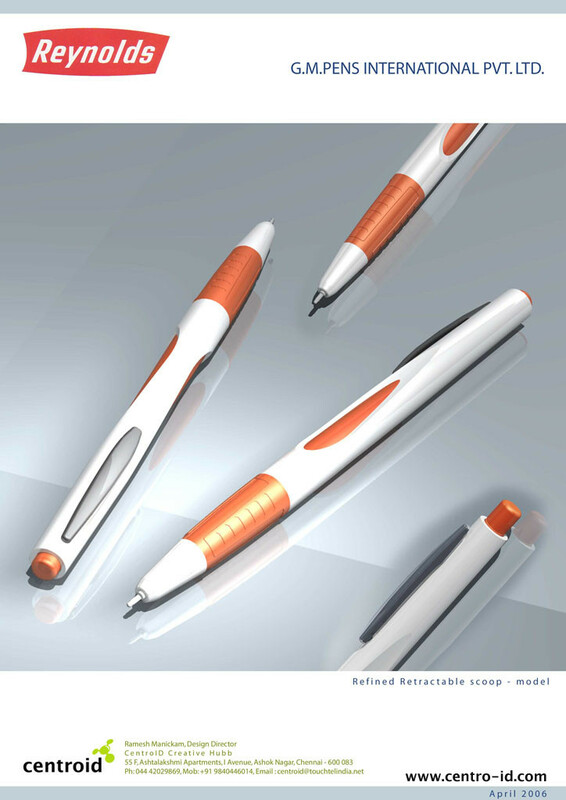 Depending on the colour of the pens the barrel colour can change – giving a visual indication.